The median home value in Santa Clarita, CA is $407,500 This is lower than the county median home value of $525,500. The national median home value is $185,800. The average price of homes sold in , is $. Approximately 66.63% of Santa Clarita homes are owned, compared to 29.96% rented, while 3.4% are vacant. 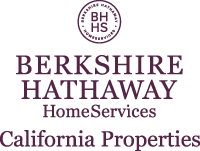 Santa Clarita real estate listings include condos, townhomes, and single family homes for sale. . Commercial properties are also available. If you see a property Santa Clarita real estate agent to arrange a tour today ! Learn more about Santa Clarita. Highly desirable one level unit located in the American Beauty complex. Open floor plan with wood laminate flooring and fireplace. Private 2 car garage. The complex features groomed grounds, 2 pools, 2 spas, tennis court and includes water, sewer & trash. Courtesy: Kellar - Davis, Inc.